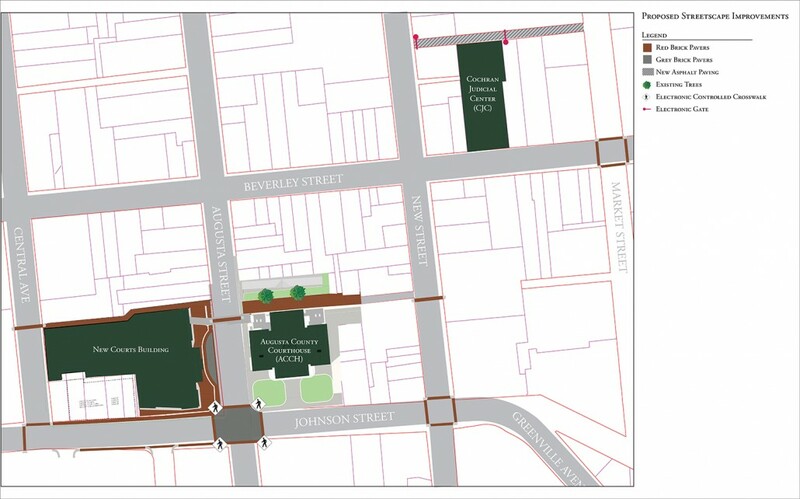 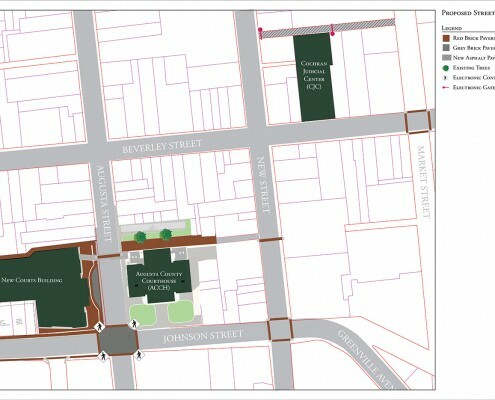 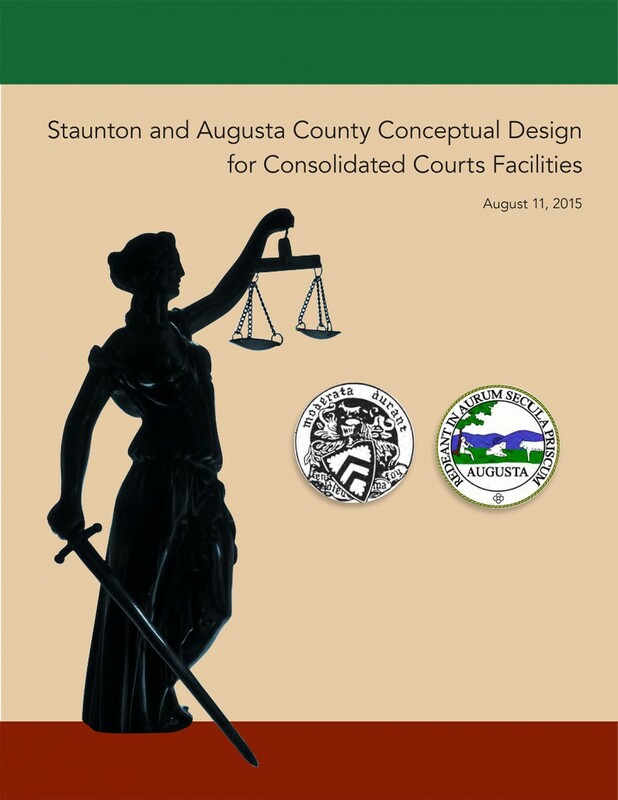 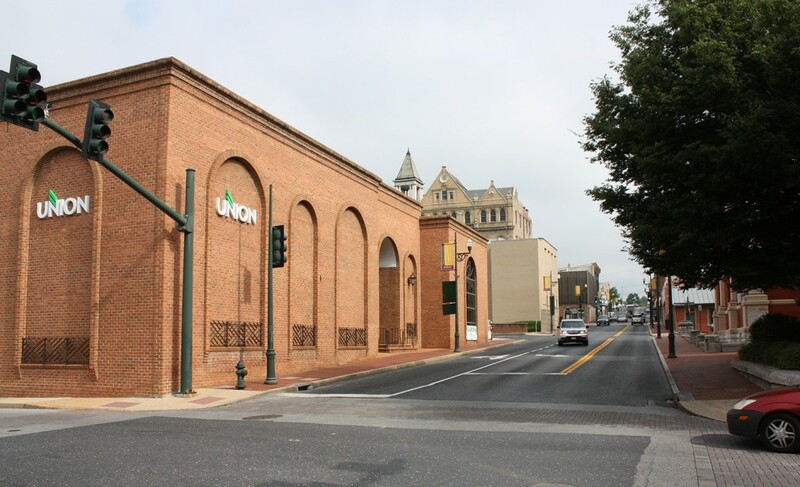 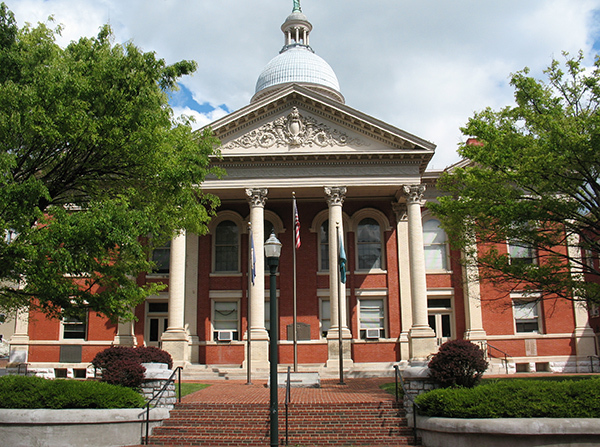 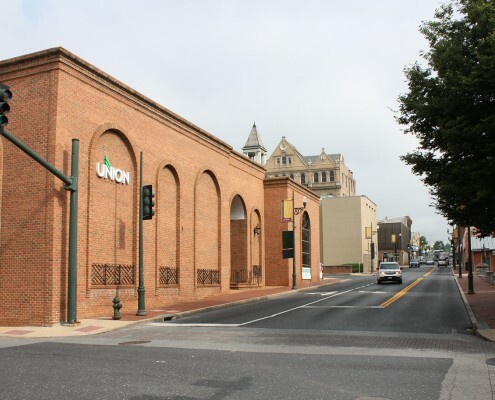 Frazier Associates recently prepared a plan for the consolidation of the Augusta County and Staunton courts systems in downtown Staunton utilizing the historic 1901 courthouse, the existing Cochran Judicial Center and a new courts building to be located across the street from the current courthouse. 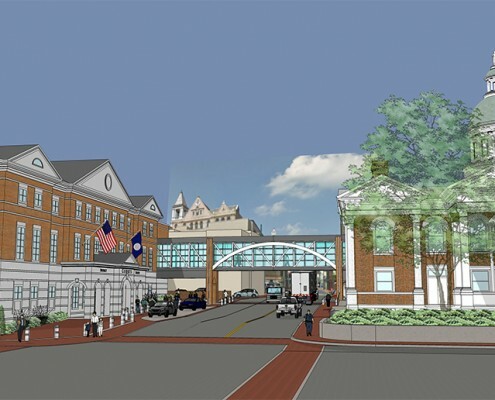 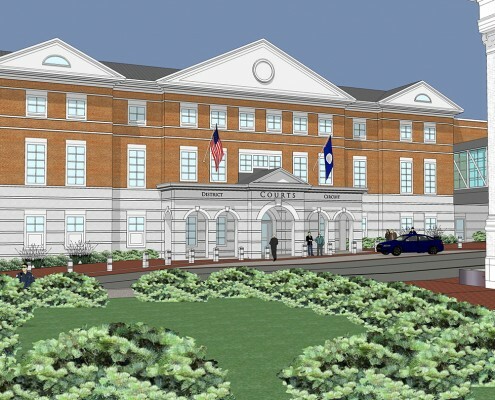 The plan would retain the historic Augusta County Courthouse as the centerpiece of the courts complex with a classically designed new structure across the street. 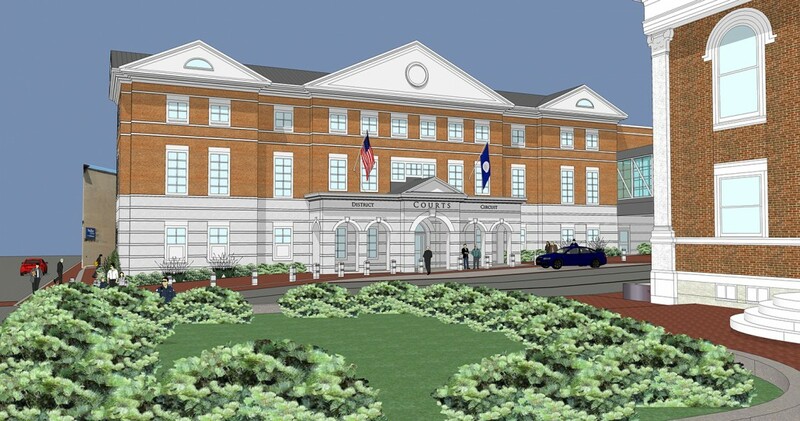 The new and rehabilitated facilities would house all circuit courts, general district courts, and juvenile and domestic relations courts as well as judges’ chambers, clerks and staff offices, Commonwealth Attorneys’ offices, records and storage facilities for both the City and County. 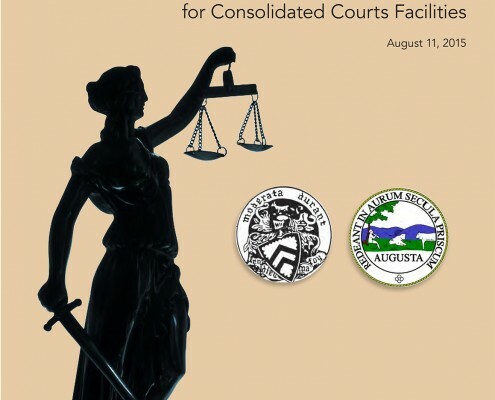 The facilities would meet security requirements and technology requirements for modern judicial centers, and would also allow for future expansion space. 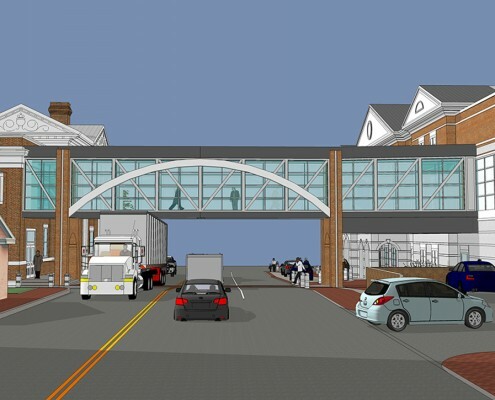 A new pedestrian bridge, improved streetscape elements, signage, and crosswalks would enhance pedestrian circulation; and ample free parking spaces along with secure and reserved parking for judges and court staff were all accounted for in the plan. 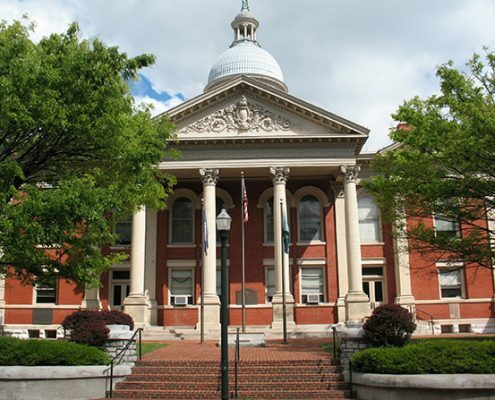 Retaining and consolidating the county and city courts downtown would continue the presence of these facilities in the same setting where they have been for over 265 years as the focal point in the historic heart of the greater Staunton/Augusta County community.